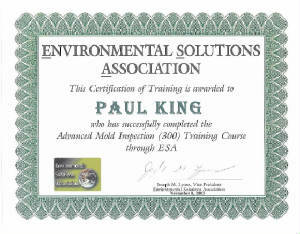 Inspector Paul is a Level 300 Certified Mold Inspector from the Environmental Solutions Association, the world's leading training and education institute on mold inspection. 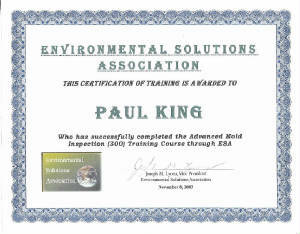 Inspector Paul carefully follows mold inspection and sampling protocols that meet or exceed the standards established by: The United States Environmental Association, The New York City Department of Health, and The American conference of Governmental Industrial Hygienists. Inspector Paul follows strict sampling guidelines, utilize legal chain of custody paperwork, and send all of our mold samples to accredited laboratories for testing and analysis. 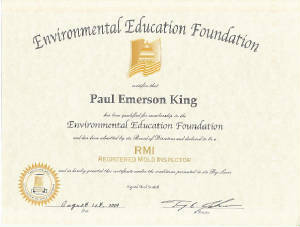 Paul King, Charlotte, NC is awarded the prestigious "Registered Mold Inspector" distinction from the Environmental Education Foundation. Mold is a microscopic organism found virtually everywhere indoors and outdoors. Mold can be found on food, plants, and other organic material. Mold can also be found on cardboard, paper, ceiling tile, sheetrock, carpet, carpet padding, wood, plaster, and air conditioning dusts. Mold spores are easily detached and made airborne. When moldy materials become damaged or disturbed, spores (reproductive bodies similar to plant seeds) can be released into the air. Stachybotrys Chartarum (atra) is a greenish-black toxic mold that colonizes particularly well in high cellulose material such as straw, hay, wet leaves, dry wall, carpet, wallpaper, fiber-board, ceiling tiles, thermal insulation, etc. It does not grow on plastic, vinyl, concrete, or ceramic tiles. It is not the green mold on bread or the black mold on the shower tiles. There are about 15 species of Stachybotrys or Black Mold known throughout the world. 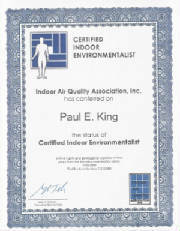 This toxic mold grows in areas where the relative humidity is above 55%. Before drying Black Mold (aka: Stachybotrys) is wet and slimy to the touch. Stachybotrys or Black Mold produces a mycotoxin that causes human mycotoxicosis. 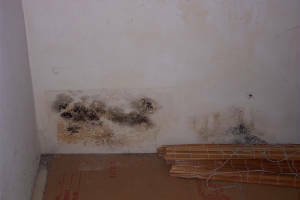 This type of mold is though to be a possible cause of the “Sick Building Syndrome”. Alteraria - Alteraria can grow indoors on a variety of substances. Amerospores - Amerospores are considered potential toxigenic molds. Amerospores is a general classification for non-descript, small, round spores which are unidentifiable by direct microscopic examination and can include Acremonium, Aspergillus, Penicillium, Verticillium, Tricoderma, Paecilomyces, Scytalidium, Cunnighamella, Monocillium, Gliocadium, and some yeast. Arthrinium - Arthrinium is a widespread fungus found on plants. It is rarely found growing indoors. Ascospores - Ascospores are considered potential toxigenic molds. Ascospores is a general classification for spores produced bisexual reproduction and can include Aspergillus, Penicillium, and Ascotrica. These are frequently found growing on damp substrates. Aspergillus / Penicillium-like - Aspergillus and Penicillium are considered potential toxigenic molds. Aspergillus and Penicillium spores are indistinguishable via direct microscopic examination. Aspergillus tends to colonize continuously damp materials such as damp wallboard and fabrics. Penicillium is commonly found in house dust, on water-damaged wallpaper, behind paint, and in decaying fabrics. Aureobasidium - Aureobasidium is commonly found in a variety of soils. Indoors it is commonly found where moisture accumulates, especially bathrooms and kitchens, on shower curtains, tile grout, windowsills, textiles, and liquid waste materials. Basidiospores - Basidiospore is a general classification of spore that is commonly found in gardens, forests, and woodlands. They are also agents of dry, white, and brown rot. Bipolaris / Dreschlera - Bipolaris and Dreschlera can grow on a variety of substrates. Botrytis - Botrytis is a mold that is associated with indoor plants. 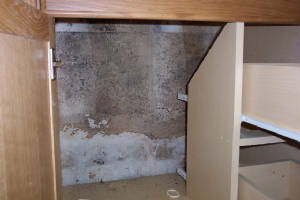 Chaetomium - Chaetomium is considered a potential toxigenic mold. Chaetomium can be commonly found on damp sheetrock paper. Cladosporium - Cladosporium is a common outdoor mold that can colonize continuously damp materials such as damp wallboard and fabrics. Curvularia - Curvularia can grow on a variety of substrates. Epicoccum - Epicoccum tends to colonize continuously damp materials such as damp wallboard and fabrics. Fusarium - Fusarium is considered a potential toxigenic mold. Fusarium colonize continuously wet materials such as soaked wallboard and water reservoirs for humidifiers and drip pans. Memnoniella - Memnoniella can be found growing on a variety of cellulose-containing materials. Nigrospora - Nigrospora is rarely found growing indoors. Oidium / Peronospora - Oidium and Peronospora are plant pathogens and can not grow on indoor surfaces. Pithomyces / Ulocladium - Pithomyces are rarely found indoors. Ulocladium colonize continuously damp materials such as wallboard and fabrics. Rusts - Rusts are plant pathogens and only grow on host plants. Smuts / Myxomycetes - Smuts do not usually grow indoors. They are parasitic plant pathogens that require a living host. Myxomycetes are occasionally found indoors. 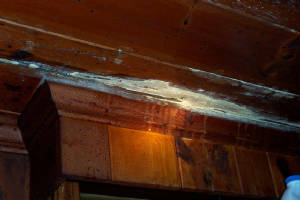 Stachybotrys - Stachybotrys is considered a potentially toxigenic mold. Stachybotrys colonizes continuously wet materials such as soaked wallboard and water reservoirs for humidifiers and drip pans. Stemphylium - Stemphylium is rarely found growing indoors. Torula - Torula can grow indoors on cellulose containing materials. Unidentified Conidia - Unidentified Conidia are uncharacteristic fungal spores that do not lend themselves to classification via direct microscopy. Below are links to websites with more information concerning Stachybotrys or Black Mold. 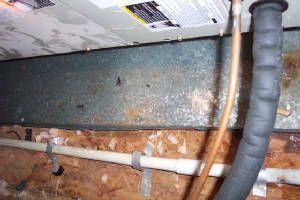 Payment for Mold Inspections must be made at or before the inspection. Detection of the presence of microbial problems in all readily accessible areas of the property, collection of appropriate data elements to enable remediation specifications to be produced, & lab analysis. Identify, determine cause, and provide corrective measures for all mold sources discovered in the entire house.